Hi! I’m Amelia, a senior product designer slash art director. I thrive on crafting meaningful digital experiences, making ideas come to life with robust thinking and intuitive design. Since making the move to London from Melbourne in 2016, I’ve had the opportunity to lead some of the biggest projects of my career. These include the complete website redesign of the world-famous Tate gallery to the full scale service redesign or one of the UK’s largest telco brands. Having built and led large design teams, I have the leadership skills and design process expertise to produce consistently polished and beautiful design systems. I work with clients that are prepared to face challenges set by their users’ expectations head-on, instead of falling back on what worked yesterday. Earning my stripes in small digital agencies afforded me solid experience. Seamlessly working across multiple disciplines, from inception to realisation I guide clients to go further than the vanilla enabling them to make bolder design choices that push the boundaries of their expectations. My dedicated passion for pairing traditional crafts like illustration, hand lettering and painting with my contemporary UX, digital design and prototyping skills, sets me in good stead to lead project teams with confidence. While a visual person at heart, I’m an absolute process nerd. I get a kick out of developing ways to work more efficiently. When I started at BIO, I brought with me a passion for Atomic Design which is now the key methodology behind BIO's platform builds. This new process greatly improved the transition from design to development with enhanced information capture. As an experienced presenter and trainer, I jump at opportunities to pass on my knowledge and learn from other industry experts. 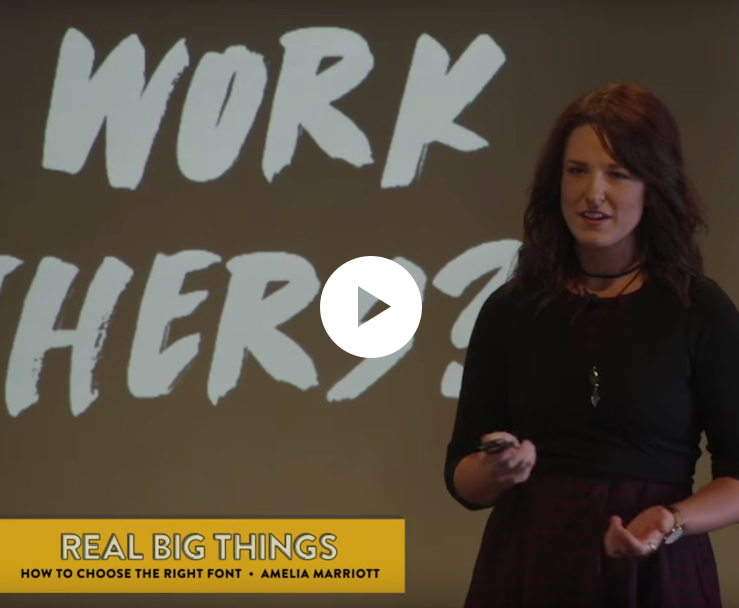 Latest opportunities include teaching a class of Monash University students in mobile design, presenting a Sitecore webinar online to 400 people, planning and presenting a full day 'Hackathon' at Hardhat and teaching the audience about correct font choice, live on stage at Real Big Things. I am influential, sociable, hardworking, and flexible. I thrive in the ever-shifting landscape of a dynamic team and am excited by projects that allow me to grow and contribute, creating future-proof design outcomes for the digital age. If you think I could be a good fit for your next project, get in contact today!